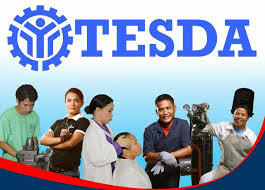 Are you from Marikina and looking for TESDA accredited schools in your hometown, This post gives the information where you can enroll TESDA courses. Listed below are those accredited schools and training centers which provide enough facilities wherein you can learn and study your Tesda courses you’ve chosen. Those schools authorized to conduct training base on TESDA standard protocol. Incase you have a plan to enroll or make some inquiries, the location address and telephone numbers of the training centers is also given below. Aside from that TESDA courses offered of the said schools is also on included. BOWLINE TRAINING & ASSESSMENT CENTER, INC.
IETI COLLEGE OF SCIENCE & TECHNOLOGY (MARIKINA), INC.
Montessori Professional College Marikina Branch, Inc.
ST. CHAMUEL INSTITUTE OF TECHNOLOGY MARIKINA CAINTA , INC.
XAVIER TECHNICAL TRAINING CENTER, CORP.
Take your time to choose what courses and the best schools for you.